Medieval Upper Town ... Neo-Gothic Cathedrals ... Gornji Grad ... Church of St. Marks's ... Art Pavilion ... Croatian National Theater ... and more! Trsteno Arboretum ... Dalmation Coast ... Adriatic Sea ... Gardens of the Red Keep ... GOT King's Landing and other recognizable Filmning Locations ... and much more! Have it your way and personalize your trip by adding fun, optional activities. These activities are not included in your land package price to allow free time for those who want to explore on their own. Rates have been specially negotiated with the suppliers and will include transportation to and from the event, where applicable. All options are based on a minimum number of travelers participating. Rates listed are approximate rates in US$ and are subject to change. Contact your tour director upon arrival overseas to book and pay for your options. Payment to tour director in cash in local currency. Join us on an optional 2-hour walking tour of Zagreb this afternoon. On the tour we will visit some of Zagreb's best sites, including medieval Upper Town, Zagreb's oldest district, Gradec, Gornji Grad and the Church of St. Mark's. Times and prices are subject to change. Let out your inner adventurer and experience a bit of adrenaline on this all day Aquatic Adventure. Join us as we explore the Blue Green Caves, Stinivia Cove and the popular islands of Bisevo, Vis and Hvar. Take time to swim, snorkel and explore the islands before returning to Split. For over 20 years, George R.R. Martin’s Song of Ice and Fire books have transported us to exotic locales without leaving the library. Then the HBO TV series, Game of Thrones, showed us where to find these destinations in our own world. The Red Keep gardens, Meereen, Slaver’s Bay, and King’s Landing, they’re all real locations and they’re waiting for you in Croatia! Today, we embark on our overnight flight to Zagreb. Welcome to Zagreb. The capital city of Croatia has it all: culture, arts, music, architecture and good eats. Explore the city on your own, relax, or join us on an optional walking tour with a local historian. Visit the medieval Upper Town, Zagreb’s oldest district. Sitting on top of two hills, Kaptol, the old town’s clerical center, clustered around the city’s elegant neo-Gothic cathedrals and Gradec, lined with pastel-colored baroque palaces, once home to the city’s nobility. Check out Gornji Grad and the Church of St. Mark's, the Art Pavilion and the Meštrovic Gallery or the Croatian National Theater. Tonight join the welcome cocktail and cevapcici dinner with our travel companions. Depart Zagreb early in the morning for a drive south to Plitvice Lakes National Park, one of Europe’s great natural wonders. This is truly one of the most amazing primeval forests, featuring 16 terraced lakes, laced together by waterfalls and miles of wooden walkways and bridges. Take advantage of the park’s free boat and train rides to get the most out of your visit and enjoy a picnic lunch at one of the park’s al fresco dining areas. 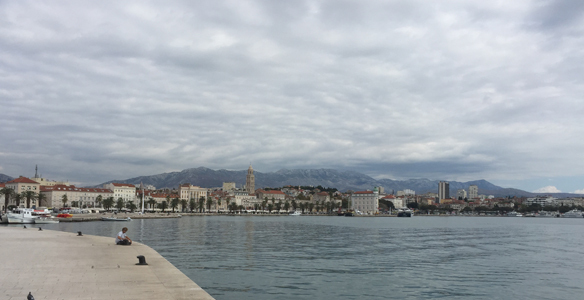 Our journey continues to the historic port city of Split, Croatia’s second-largest city. This bustling city offers a perfect balance between traditional and modern lifestyles. The jewel in the center of town is the breath-taking Diocletian’s Palace, a UNESCO World Heritage Site and one of the most impressive Roman monuments in the world. Enjoy a typical Dalmatian dinner, then stroll along the lively harbor by the sparkling Adriatic Sea. 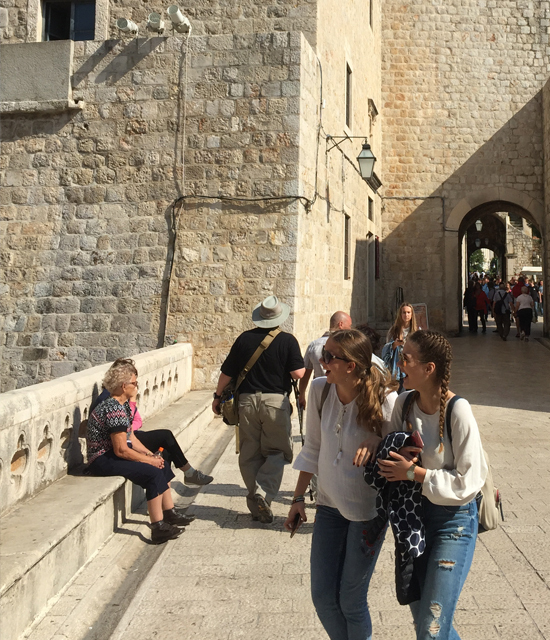 On our morning tour of Split with a local historian and ‘Game of Thrones’ expert, we discover exciting filming locations. The palace was built in the early 4th century as a retirement estate for the Diocletian, who spared no expense, importing marble from Italy and Greece, and columns and sphinxes from Egypt. Diocletian’s Palace was used as the setting for several scenes in the city of Meereen. We follow in Daenerys’ footsteps as we explore this 1,700-year-old structure, visiting the throne room and the dungeons where she kept her dragons. Today the palace is a living monument, with residences and colorful shops that started to occupy the ruins of the palace around the 7th century. This afternoon, continue your own exploration of Split, sample fresh local seafood, or relax on the beach. Spend the day as you wish, or join us on an optional all-day aquatic adventure exploring the Blue & Green Caves, Stiniva Cove, and the popular islands of Biševo, Vis, and Hvar with its lavender fields, lofty peaks, and yacht-filled marinas. Our excursion includes time for swimming, snorkeling, and exploration of the islands. This morning we visit Klis Fortress, a small medieval stronghold that provided the backdrop for the City of Meereen. It dates back to the 7th century and has been the seat of many Croatian rulers. We continue our drive along the dramatic coastline, crossing Bosnia Herzegovina, before arriving at Ston, and Mali Ston, both salt-producing towns. The city’s defensive walls are world-famous and second largest in the world after the Great Wall of China. After lunch on your own and time to explore the town, our journey continues to Trsteno Arboretum, the oldest arboretum in this part of the world. It was built in the late 15th century to house plants and seeds brought back from foreign countries by the Gozze family. The aqueduct used for irrigation purposes is still in use today and the stunning belvedere pavilion overlooking the Dalmatian Coast and the Adriatic Sea were the gardens of the Red Keep. We arrive in Dubrovnik, ‘Pearl of the Adriatic’ and UNESCO World Heritage Site. Game of Thrones lovers have arrived in King’s Landing, the’ jack pot’ of filming locations. With our in-the-know guide, enjoy views of the red-roofed, terracotta skyline that is easily recognizable as King’s Landing. Visit Fort Lovrijenac, known as the ‘Red Keep,” the Stairs to the Great Sept of Baelor, Minceta Tower as House of the Undying, St. Dominika Street, location of many market scenes and famous for Cersei’s Walk of Shame. Stop at Pile Bay, aka Blackwater Bay, with amazing views of both Bokar and Lovrijenac Fort. Dubrovnik is not only a feast for Game of Thrones fans, but will enchant all visitors with its marble streets, imposing stone walls rising from steep cliffs, churches, monuments and picturesque coves and beaches. Tonight, join us for our farewell Croatian dinner where we compare notes on filming locations and what sites you enjoyed exploring the most. After breakfast the land program ends and we bid farewell to our new-found friends and make plans for a reunion trip. See the city from another perspective, 16 floors above street level! The observation deck offers birds-eye-views of the main square, Cathedral, Upper and Lower Town, and other cultural and historical architecture of Zagreb. Don’t forget your camera, the views are incredible both day and night! Take a leisurely stroll through the streets Gornji Grad, or Upper Town, lined with amazing, medieval architecture and churches. Along your way, stop to admire the Church of St. Mark’s, recognizable by its brightly painted roof. Inside, you can find beautiful statues and murals. This art pavilion was originally built for the international exhibition in Budapest in 1896 before finding its home in Zagreb and is now home to bright yellow walls and rotating exhibits. The Mestrovic Gallery is housed in the old home of Ivan Mestrovic, and displays 300 sculptures, made of wood, stone and bronze, as well as other works by the esteemed artist. Browse stalls selling everything from fresh fruits and vegetables to wine, clothes and toys in this huge market under the shadow of Diocletian’s Palace. 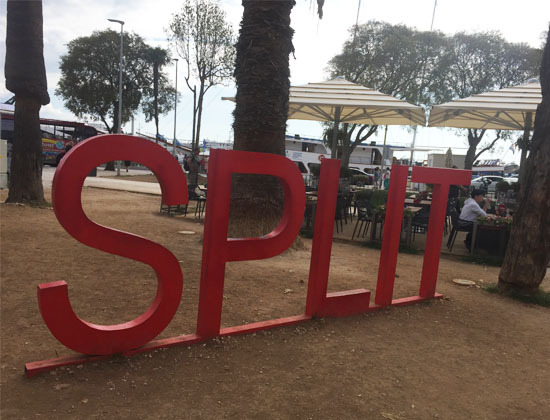 Split is known for fresh, local seafood and it is not hard to tell why! Around every corner you will find a café with delicious food to try. Second only to the Great Wall of China and made famous by Game of Thrones, walking these ancient walls and through the forts is a great way to take in the views and take in the historical significance of the city. Get a birds-eye-view of the city and coast on a cable car ride 412 meters (1350 ft) in the air! The cable cars run day and night and offer some of the best views of the city. Dubrovnik is home to countless coast-side cafes offering traditional fare and fine wine. Take your time with a leisurely meal and enjoy your food with a view! 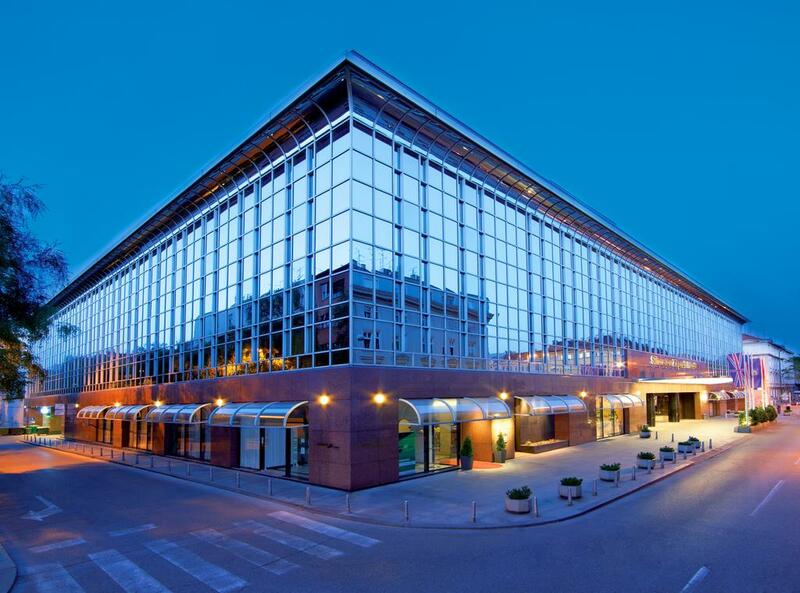 Located in the heart of Zagreb, this 5-star hotel is walking distance from the Main Square with shops, outdoor cafes and activities. All rooms offer air conditioning, cable and satallite TV and wifi. There is also a restaurant and bar on site with traditional Croatian cuisine. 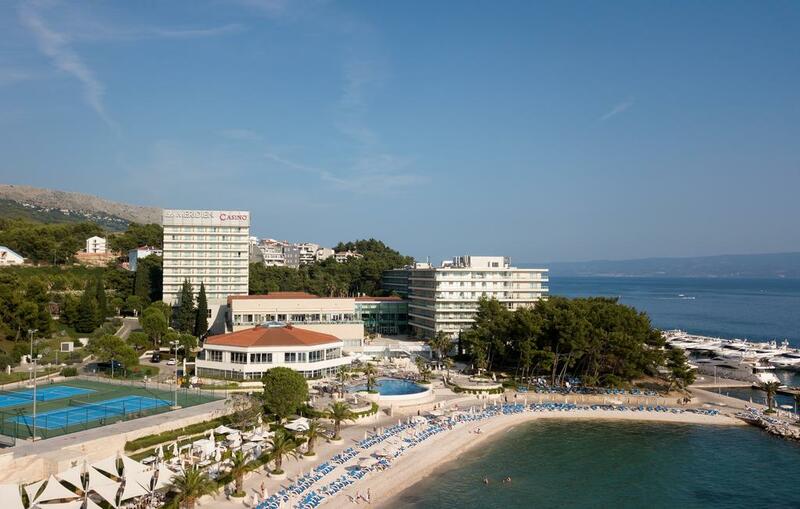 The only 5-star resot in Split, Le Meridien Lav is located directly on the beach in Podstrana, just 5 miles south of the city center. On-site amenitites include beach access stretching 2,400 feet; six restaurants and bars featuring a variety of cuisines; Re:Cupera Wellness and Spa including an indoor infitinty pool; an outdoor swimming pool and tennis courts. Free WiFi is available. 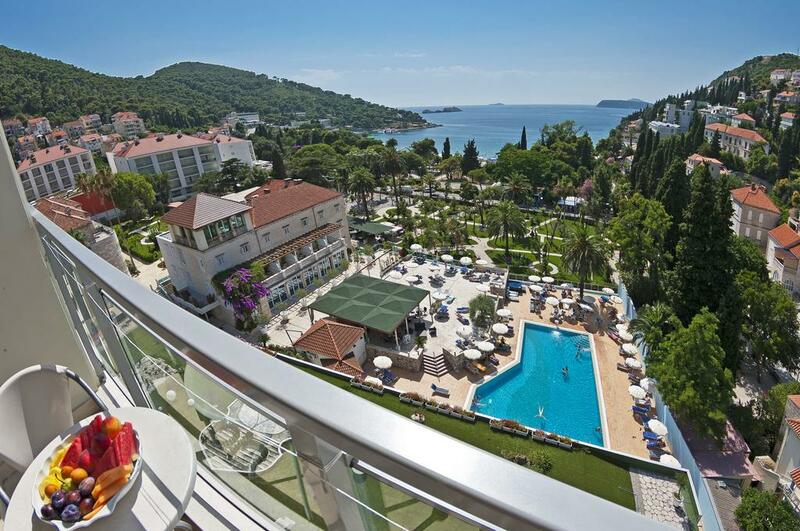 Just a two minute walk from the beach, Grand Hotel Park offers guests free access to on-site amenities including the an outdoor swimming pool with live music three times a week during summer, and a spa with an indoor swiming pool. Each room is air-conditioned and includes WiFi and satellite TV. Dubrovnik's old town, less than two miles away, is easily accessable by bus or boat. Purchase your airfare from AESU and receive free arrival/departure transfers from the airport to your hotel. We also try to book you on the same flights as others traveling on your tour. Land only participants BOOKING OWN FLIGHT OVERSEAS, DO NOT receive airport arrival/departure transfers. If you book land only with us, book your flights from the USA one day earlier than the tour start date. If you are not booking flights through AESU, we recommend not booking airfare until your tour is guaranteed (This will be noted on website with “guaranteed” next to tour start date). Click on a date above to get a quote or make a reservation. You can make your $500 deposit ONLINE to confirm your space on the land tour. Full payment isn't due until 90 days before departure, and you or friends and family can make partial payments after you've booked (See NOTE below if within 90 days). Or you can scan/email or fax a booking form. If you just want a quote and don’t want to secure a spot on the land program, select date above and click "Get a Quote" button on next page. Email Captivating Croatia to a friend!